Just like humans, cats start out cute and sweet as kittens. Nearly everyone loves kittens and it is easy for kittens to get adopted. They are still cute while in their baby and kid stages. Everyone who has raised a human teen has considered at least once (if they are being honest with themselves) turning them into the humane society to be re-homed. Let’s face it, teens are difficult. They are adult sized with a child’s energy and thought process. Don’t worry, they will grow into their bodies and it will get better. Adult cats from the ages of about two to ten seem to be ideal. Adult cats are usually healthy and independent and low maintenance. They need to be fed, watered, clean litter boxes and some love when they demand it. They seem to be ideal pets. 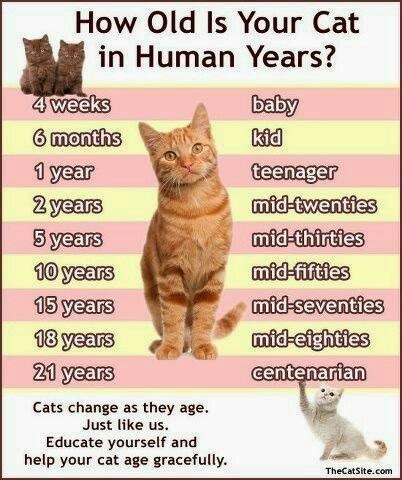 Unfortunately, like all of us, cats get old. They may need additional vet care, special diets, and medications. They get slower. Their vision fades. They may have problems with the litter box. Responsible pet owners need to consider all of this before bringing home that sweet little kitten. It can be a twenty year commitment to care for another living creature.